Can operators compete with tech giants in mobile advertising? 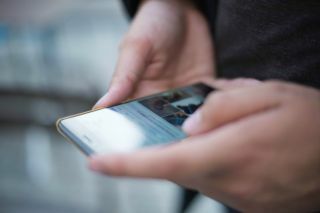 Mobile operators believe combination of content, connectivity and adtech could be a winner. Operators have long-complained about having to compete with over-the-top (OTT) platforms that profit from mobile networks without contributing to the cost of construction and maintenance and whose applications actually bypass telco services. A good example is chat applications like WhatsApp, which allow users to circumvent SMS, MMS and international call charges. In 2016, 89 billion SMS messages were sent but this is set to fall to 64 billion 2018 and decrease further to 40 billion by 2020. This challenge to traditional revenues is exacerbated by the fact new companies are profiting from operator investments in network without sharing the risk or the capital expenditure. Netflix alone accounts for 15 per cent of the world’s bandwidth but it is telcos picking up the bill (and the flak if there is insufficient capacity) for ensuring end users can access its services. This imbalance is one of the reasons that many in the industry object to net neutrality legislation, believing that streaming services should contribute their fair share. But it has also seen operators rearchitect their networks to be more agile and so new services can be rolled out rapidly depending on customer demand. The main advantage that operators have over OTT players is data. Being an OTT application might mean you benefit from networks built by others, but not being integrated means you can only see what users are doing on your application. Telcos on the other hand have access to integrated billing and the ability to see everything that takes place on their network. This includes call and message data, but also browsing data across multiple devices. This is a treasure trove that OTT applications would kill for and a recent spate of investments in content and in advertising technology (adtech) by telcos suggest that online advertising is seen as the revenue stream that can ease these challenges. Moves by US operators to acquire content and adtech firms are the most obvious evidence of this trend. AT&T’s purchase of TimeWarner was followed up by the $2 billion purchase of adtech creator AppNexus. Meanwhile, rival Verizon holds substantial content and advertising assets thanks to the Oath division it created from the acquisitions of Yahoo and AOL. Similar strategies are being pursued by other providers around the world, while Vodafone has brought significant amounts of its own advertising capabilities in house. Despite the daunting task of competing with Facebook and Google in the online advertising space, there is a belief among some operators that this combination of browsing and geographic data, existing customer relationships, trust, content and advertising can be a winning strategy. But why has it taken so long for operators to wake up and release the bounty underneath their feet? The most obvious explanation is motivation to find new revenue streams is so strong, but increased digitisation of the operator business and shifting market characteristics have also played a role. “Mobile network operators have had access to a wealth of location and demographic information on swathes of the population for decades, although until recently its market has largely been restricted their own operations, to large-scale public-sector applications and a few specialist organisations,” suggests Conrad Poulson, CEO of marketing firm Huq Industries. “Understanding what consumers do and how they act in the real world is naturally an enticing prospect for any market researcher or mobile advertiser, given that this is the realm in which all audiences reside. Customers are interacting with their network much more frequently than in the past, whether it’s online or via an application or even a loyalty programme like O2’s Priority or Three’s Wuntu. This is helping to strengthen direct-to-consumer relationships and fosters an element of trust. Mobile subscribers already trust their network sufficiently with their personal information and for billing whereas relationships with tech giants are being strained by incidents such as the recent Cambridge Analytica and Facebook scandal as well as a number of cyberattacks. Adding a further variable into the mix is the influence of the EU’s General Data Protection Regulations (GDPR), which have been a factor for all marketers. “Following GDPR in the EU, and similar moves in California, control of the geo-enabled ad-marketplace by those operating at the app or OS level has been curtailed in the sense that the circulation of audience-data associated with a universal identifier – i.e. Ad-ID - has been discouraged, adds Poulson. “Seeking consent from users to participate within that ecosystem is considered taxing on the user experience, and onerous for the service provider. It’s hard now for advertising platforms to do what they did before. But that’s not to say there aren’t challenges ahead. The most obvious one is that Facebook and Google are huge competitors with a global reach. Although Vodafone, Orange, Telefonica and Deutsche Telekom have interests in several countries, most mobile operators tend to be restricted to national borders. And on top of that, there is a lack of industry cooperation that may prevent the creation of a common platform. “The challenge that mobile network operators have had in this regard is that they struggle to co-operate as an industry, and as a result leave themselves vulnerable to Google, Facebook, Apple,” concludes Poulson. There’s an acceptance among some mobile operators that 4G did not create the new revenue opportunities it once promised and that future network updates are as much about efficiency and laying a foundation for 5G than creating new use cases. However, 5G and the Internet of Things (IoT) are very different, with a host of consumer and business services to be created. Perhaps mobile advertising can be another.